What Are My Career Options and Job Description as a Dental Assistant? 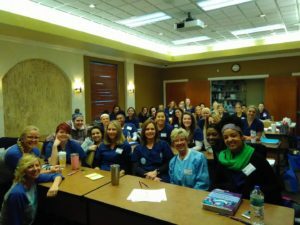 Dental assistants greatly increase the efficiency of the dentist in the delivery of quality oral health care and are valuable members of the dental care team. If you have strong communication skills, enjoy working with your hands as well as your mind and want a career with responsibility, dental assisting is for you. Being a dental assistant offers many other options aside from working chairside with the dentist. 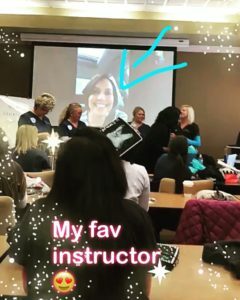 Inside of the dental office, many financial coordinators, treatment counselors and office managers got their start and have a background as a dental assistant. Insurance companies hire dental assistants as consultants as well as other positions related to claims review and processing. Dental assisting can also open the door to a vast array of job positions in healthcare business, healthcare sales, consulting and management. 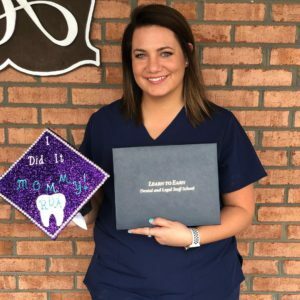 Personal satisfaction: Dental assisting involves people contact, and with this personal interaction comes the personal satisfaction of knowing you’ve helped someone by helping to provide valuable health service. So! 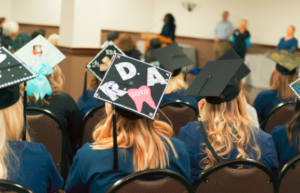 You survived dental assisting school and even the job application process. Now you’re finally working for real money! Congratulations! But the problem I had, and I know I’m not alone here, was that I was terrified going to work my first day. It was like the first day of school all over again. I had never worked with these dentists or assistants. What if I didn’t fit in, or what if I didn’t know what I was doing? Yikes! I had to take slow deep breaths to calm myself. Just breathe! And remember life is a journey. Here are four tips that were my saving grace. Even after the first few months, these tips help keep me motivated when I go to work every day. Arriving early so you have time to set-up and prepare for the day. My first tip is to be humble, and don’t be afraid to ask questions. My approach to being a brand new dental assistant is to recognize that I know the basics. But I realize that all doctors and assistants have their own way of doing things, and they all use different products. I always ask why they use something, and I ask what it does. Asking questions helps me to remember the order of a procedure and the order in which the doctor wants certain items. My second tip is to always read the directions on the product I’m using, or for clarification I Google the name of the product and how it’s supposed to be used. The only way to become a subject matter expert is to do your own research. This will help you feel more confident in your skills. One example is that I was told by my doctor to apply fluoride varnish to a patient, so I did. Well, once I got home and did my research about the brand we use, I discovered that I was supposed to dry the teeth first because that helps the varnish adhere to the teeth. Reading directions and doing your own product research also helps your credibility with patients. They expect you to be informed. My third tip is the most fun for me. I am a self-professed YouTube junkie! I love watching dental procedures, and this has been very helpful. Just watching something as simple as “how to prep a tooth for a crown” is amazing. Your doctor may use different products, but the steps are the same. Anytime I know ahead of time that we’re doing a procedure I’m not that familiar with, I YouTube it! My fourth and final tip is probably the most important. Have a positive attitude, and always try and be part of the solution, not the problem. I’m so thankful and grateful to have such a rewarding career. There are a thousand things that happen everyday that I could complain about, but I choose to stay positive. If I hear people venting about a problem, I try to help. If I hear people venting about their coworkers, I listen but I do not comment. It does no good to add fuel to the fire. Be the positivity and the light in your environment. Leave your personal problems at the door and focus on your patients.